He is known as the Father of Sri Lankan Diplomacy. Appointed the first member of Sri Lanka’s Overseas Service by Prime Minister D. S. Senanayake in 1949, he got his first foreign posting to USA the following year. Dr Mendis was educated at Prince of Wales’ College, Moratuwa and Royal College, Colombo. He entered the University of Ceylon where he pursued further studies gaining a Bachelor of Arts (Second Upper Honours in History). His passion for History at Royal College and at the University led him to a career in international relations and diplomacy. The highlight was one classmate at Royal College Colombo who was on the same wave length with him. He was Justice Christie Gregory Weeramantry, who became International Court of Justice Vice President. When the Ceylon Overseas Service was formed in 1949 Dr Mendis was in the first batch of cadets who were chosen through a highly competitive examination and selection process. His first appointment was Counselor in the Sri Lanka’s (then Ceylon) Embassy in Washington DC. where Sir Claude Corea was Ambassador. After Washington he was posted to the newly established Sri Lanka mission in Tokyo before the arrival of its first Ambassador, Sir Susantha de Fonseka. Dr Mendis thereafter served in the missions in Paris as Charge-d’ Affaires (1953-1955) and in Moscow (1955-1960) where the Ambassador was Prof G P Malalasekera. In 1960 Dr Mendis was recalled to Sri Lanka and appointed Chief of Protocol in the Defence and External Affairs Ministry at the age of 35 - one of the youngest to hold that position. He was made Sri Lanka’s Deputy High Commissioner in London and later in New Delhi. In 1965 he was appointed High Commissioner to the United Kingdom and later was made Ambassador to USSR. Recalled to Colombo in 1970, he was made Foreign Affairs Advisor to Prime Minister Sirima Bandaranaike. During this period he played a pivotal role in the formulation of Sri Lanka’s foreign policy after the island became a republic in 1972. A major milestone of his career was in 1976 when he functioned as the Secretary-General of the Non-Aligned Movement Summit in Colombo, where he chaired sessions in the presence of some of the greatest world leaders at the time, such as Indian Prime Minister Indira Gandhi, Yugoslav Premier Marshal Tito and Cuban President Fidel Castro. Dr Mendis’ next appointment was Sri Lanka’s High Commissioner to Canada with concurrent accreditation to Cuba. He retired from the Foreign Service when his tenure as High Commissioner ended in 1980. Soon after leaving the Foreign Service he took up posting with the United Nations as Special Envoy in the Middle East in Cairo, serving as the UNESCO Regional Director. There he was in charge of looking after UN interests in the Gulf where Egypt was making waves in its foreign policy. He also had to deal with some of the issues in relation to Egypt’s cultural treasures on UNESCO’s behalf and with Egypt’s relations with Sudan. After returning to Sri Lanka following his term in the UN, he served as Sri Lanka Telecom Board Chairman for three years. He also served as a Peace Fellow at the United States Institute of Peace in Washington and was the funding Director-General of the Bandaranaike International Diplomatic Training Institute (BIDTI) in Colombo. The BIDTI established in 1995 was the first of its kind in Sri Lanka. 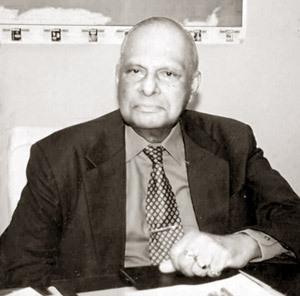 Dr Mendis was also the author of several publications of a pioneer character such as The Foreign Relations of Sri Lanka and The Origins of SAARC. His scholarly contributions in the form of lectures, articles in journals and newspapers enriched our understanding of international relations and historical studies. In the field of diplomacy and diplomatic training Dr Mendis achieved universal recognition. He was a diplomat not only in his official capacity but also in his relations with the BIDTI staff. He was a much respected and popular administrator who never expressed anger over any issue but was able to diplomatically solve a problem without hurting his subordinates. A collection of essays edited by Dr Lorna S Dewaraja titled A Diplomat for All Seasons was published in 2004 in acknowledgement of the services he rendered as a diplomat, historian, researcher, writer, teacher, policy-maker and consultant in the realm of foreign affairs and governance. He was awarded a PhD by the Colombo University in view of his scholarly works. In recognition of the contributions he made over five decades of his public life, Dr Mendis was nationally honoured with the title of Vishva Prasadini in 1997 and Deshamanya in 1998.